If you drove across virtually any part of the Corn Belt even a few weeks ago, you would have still seen farmers planting corn in their fields. As some of you may have experienced, cold, wet weather across the Midwest in the early spring delayed some farmers from getting into the fields this spring as early as they had planned. In addition to planting delays, this unusual weather also may have another effect – possible nitrogen depletion in some areas. Cold, wet weather can impact your nitrogen plan if you applied urea fertilizers that contain nitrate in the fall or if soil temperatures warmed above 50 degrees (F). Under these conditions, ammonium will transform to nitrate. Because nitrate doesn’t adhere to the soil like ammonium and is water soluble, this transformation can lead to leaching (washing away from the soil) or conversion to gas, resulting in denitrification (evaporation) in rainy conditions. Note that preseason nitrogen applied as ammonium typically isn’t subject to leaching. In fact, cold, wet weather helps keep nitrogen in the ammonium form, which adheres to soil particles. If you are relying on soil organic matter to supply a portion of nitrogen to your crops, you may need to increase your fertilizer rate. Cold temperatures slow decomposition and mineralization, which is necessary for the activation of nitrogen in your soil. Under extremely wet conditions, this slow rate will be compounded, as microbes aren’t getting the oxygen they need to mineralize organic matter and release available nitrogen. How can you build an understanding of what’s really happening with your field inputs? And what can you do to ensure your crops have enough nutrition to maximize yield through the growing season? Depending on where you farm, some of you may already be putting a secondary fertility strategy, such as sidedress, into action. For those of you who have just finished planting, understanding and measuring the current state of your fertility program is an important step in determining if a sidedress application is necessary for your crops. Ask yourself and your agronomy partner these four important questions before taking action. Did the cold, wet weather affect my inputs? Viewing nitrogen levels based on applications, crop stage, and weather with the Climate FieldView™ nitrogen management tools can help you determine the right time and rate of nitrogen to apply. With this critical information, you can get an update of current nitrogen availability in your fields. This data reflects thousands of soil, residue, and plant tissue samples that provide you with industry-leading, science-based insights for nitrogen management. What specific areas of my fields might be nitrogen deficient? Managing your nitrogen by customizable management zones can help you optimize your nitrogen investment and yield. This feature available in FieldView will allow you to spot potential shortfalls and ensure you have enough nitrogen to meet your yield goals. What is the best application method for my needs? Injection into the soil or dribbling between rows are popular ways to sidedress corn crops. Broadcasting is also an option. Determining what is best for your fields depends on your soil, level of crop maturity, and other conditions. Consult with your agronomic partner if you have questions. How can I quickly and easily write nitrogen prescriptions for specific areas of my fields? 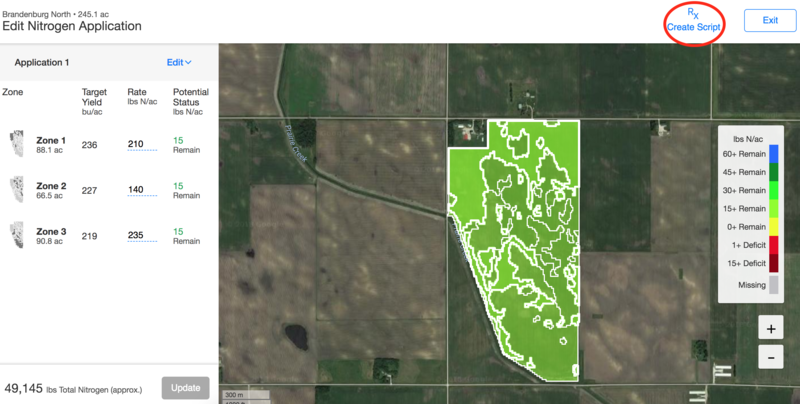 Recently, a new tool was introduced into FieldView that allows farmers to create manual variable rate nitrogen prescriptions. Whether you do this yourself or with your dealer, this tool can help you maintain nitrogen levels. Writing a nitrogen script in FieldView™ Pro is fast and easy. Export your variable rate nitrogen prescription and execute on your equipment of choice. Making sure your crops are well nourished is a key element to a successful growing season, and ultimately harvest! I wish you good luck as you move forward with your plans throughout the year. If you have any questions, feel free to contact your Climate dealer, or the Climate Support Team at (888) 924-7475 or climate.com. 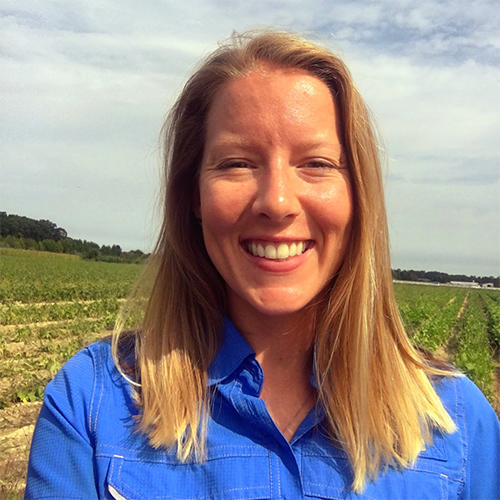 With a focus on soil science, fertility, and irrigation management, Libby is a field research scientist at The Climate Corporation. She holds a Doctor of Philosophy (Ph D.) in horticulture science with a minor in soil and water science, plus a Master of Science (M.S.) in horticulture science from the University of Florida. She completed her undergraduate work at the University of Wisconsin, earning a bachelor’s degree with a double major in horticulture and plant pathology.